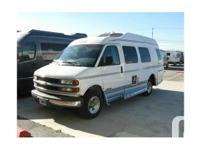 2004 RoadTrek 190 Versatile (Chevy Express 1500) V8 for sale by owner. 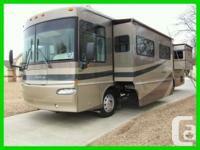 Economical RV/Motorhome alternative for that weekend camping or extended travel! Van was purchased in 2009 (used) from the main dealer in canada (OWASCO RV Centre) and now has aprox 74,000 km and is in excellent working condition. Nonsmoker, Regular service, Recordsâ„œceipts. Reason for selling due to changes in disability requirements for the owner. Has a lot of features, Leather, Trailer hitch, too many to name. Located in Niagra Falls, Ont. Please call Kathryn for more information 1-!